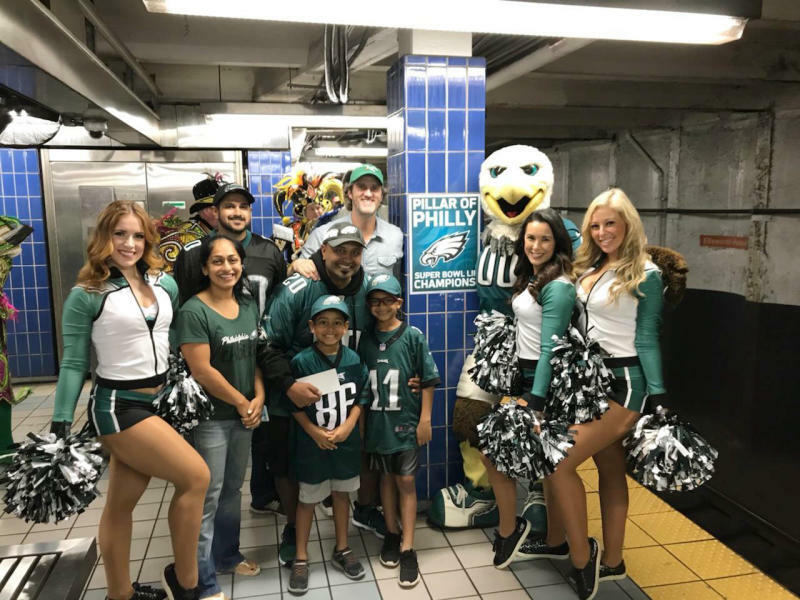 The moment in the spotlight isn't over yet for a Philadelphia Eagles fan who stumbled into fame as a viral video star after running into a subway pillar earlier this year. "From 'mind the pillars' to 'Mind the Gap' ...London, here we come!" Desai said Friday. Hitting the pole meant more than you would think to 43-year-old Desai. A new tradition was now born. Two weeks later, an hour before the Super Bowl game between the Eagles and Patriots, Desai had what he called a "ceremonious" yet safe "run-in with a post at home to keep the positive mojo going." He's vowed to do that for every future Eagles playoff game.